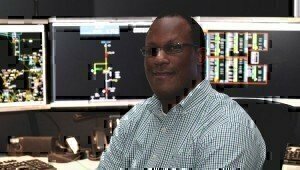 David Lattibeaudiere, Transmission System operator, began his career at FirstEnergy in March 2015 shortly after his military duty concluded. In his current position, David enjoys helping to keep the lights on in New Jersey. David served six years in the United States Navy as a nuclear trained electrician’s mate, and he served on the USS George Washington stationed in Yokosuka, Japan, for four years. His responsibilities included supervising the operation of the ship’s electrical power system (generators, switchboards, etc.) and performing preventative maintenance on generators, controllers, lights and switchboards in the propulsion plants. “My initial research and the interview process made it clear that FirstEnergy values veterans’ experiences and core values. I truly appreciate how accommodating FirstEnergy is to employees who currently serve, through its great military leave of absence policy,” he said. Learn more about David and his military background in the March 2017 issue of G.I. Jobs Magazine: http://bit.ly/GIJobs-March2017.